A luxury clear glass perfume bottle (h10.5cm,w11cm,d4cm approx.) 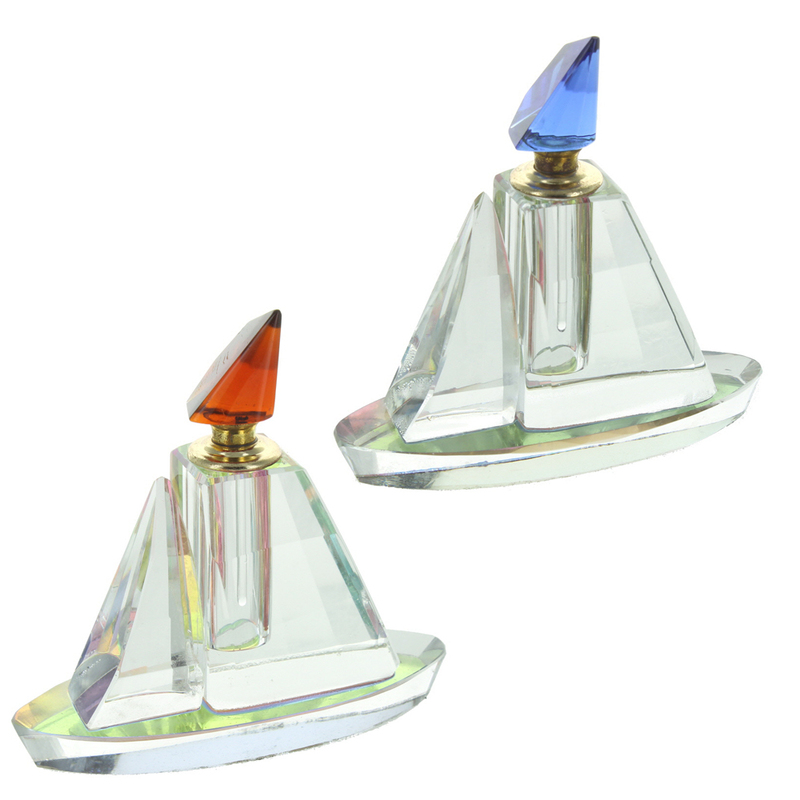 This decorative perfume bottle is in the shape of a sailing boat and features a section that is in clear glass and a section in faceted glass. The stopper is coloured glass - supplied assorted.